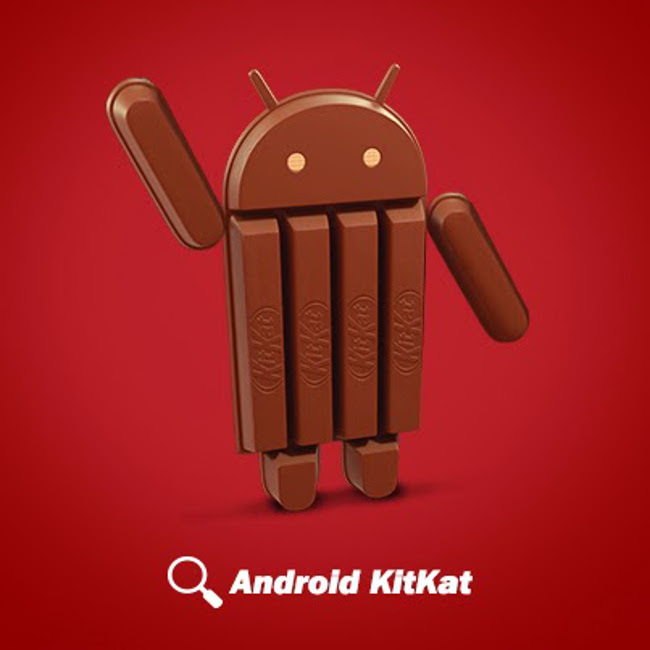 For weeks, Nestle’s Kit Kat Google+ page has been posting off-the-wall Android-focused pictures of its popular candy bar. From 007 references to using it with hashtags to ripping off its arm and sharing, the photos are quite fun. But things have gone extra wild since October 15 passed and no announcements for Android 4.4 “Kit Kat” or a Nexus 5 were made. As you may know, a “campfire” started rumor that should have never gained traction suggested that October 15 would be the release date. Since that was clearly not the date (we told you numerous times it wasn’t), obsessed fans are looking for any sign that could lead to a potential unveiling. And like I said, since the Kit Kat page has gone a little bonkers lately, people are finding those signs. Let’s talk about them a bit, so that you can decide what to and what not to read into. On October 15, the Kit Kat page posted the image we have included up top. It’s a Kit Kat Android bar waving, but they also tossed out a caption of “Everybody dance now.” That could be a potential reference to the C+C Music Factory hit single “Gonna make you sweat” from the 90s that happened to be released on October 18. But if you look deeper at the history of C+C Music Factory, you will find that they were once called the “28th Street Crew.” Hold that number for a minute. This morning (or late last night), the Kit Kat page posted the image below which says “This is it.” If you were looking for clues, you can look in two ways. The first, is that there were 16 Kit Kat pieces used to create those words. But, if you take the words and look for some sort of pop culture reference, you could take to Michael Jackson’s “This is it,” which just so happened to be released on October 28. So we have two 28 references within a 2-day period. Is Kit Kat hinting at an October 28 release? Are they simple trolling the world with riddles? I have no idea. What I do know, is that we were told months ago that Google was targeting the end of October to make big announcements around their Nexus line and the next version of Android. That could be the 28th or it could be another day. Either way, we’ll be awaiting the arrival of the next Kit Kat post at 3AM.